Hi All A couple of shots of my other JDM Seiko, one that doesn't get that much wrist time & probably deserves more. 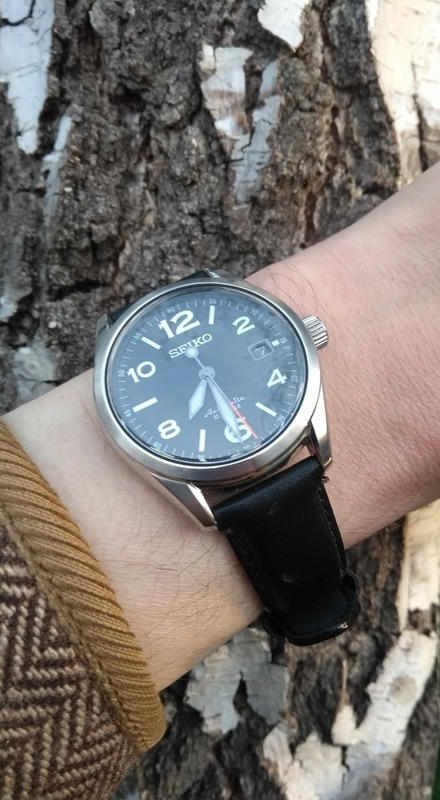 The Seiko SARG011. 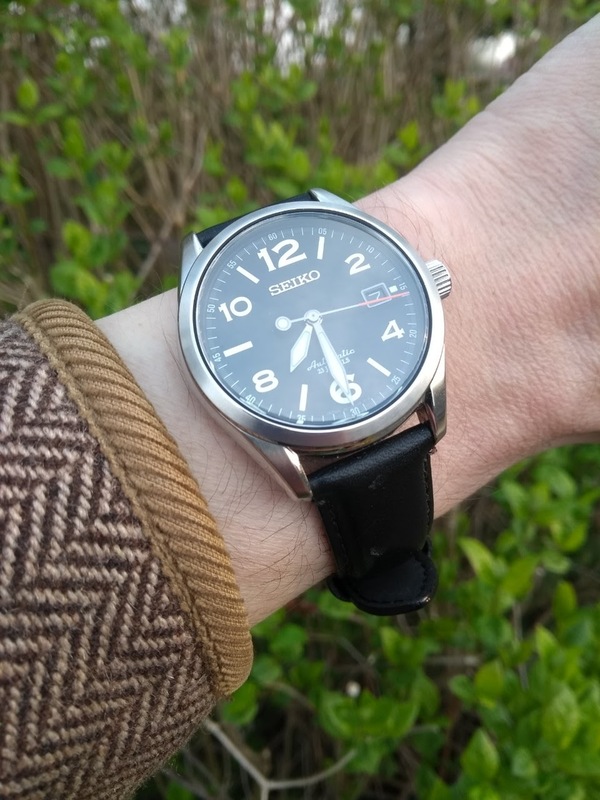 It's very close to a SARG009 in look and feel, the main differences that I'm aware of is the leather strap rather than bracelet & the all important red tip to the seconds hand. Lots to like from the the large numerals, well lumed hands & of course the red seconds. Comes with the 6R15 movement.